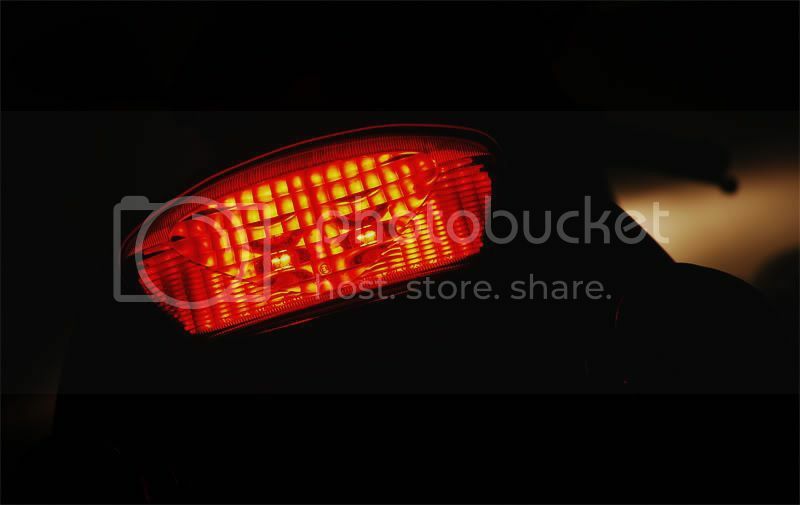 Guys, just wanted to let you all know the LED tail light retrofit will begin tonight. 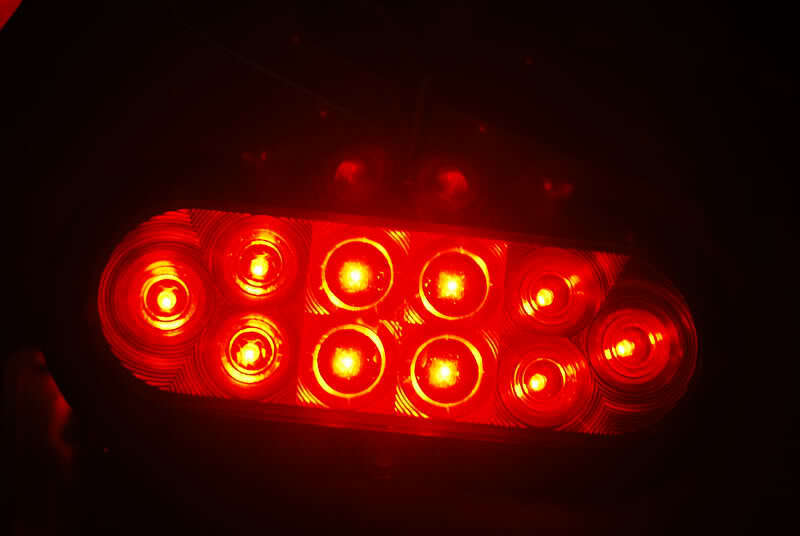 I just got back from Advanced and bought the Optronics 6" LED trailer light that has the 3-function Stop/Tail/Turn function. Rather than use the same Maxxima LED unit I used on my CBR that has 60 LEDs which was bright as hell but I wanted something this time a little more distinct. Something like how the newer bikes come. The Optronics STL-78RK has 10 "super diode" LEDs in their own reflector to make it even more visible. I test fired them up off my car battery when I got back from lunch and they are plenty bright in both tail and stop/turn function! 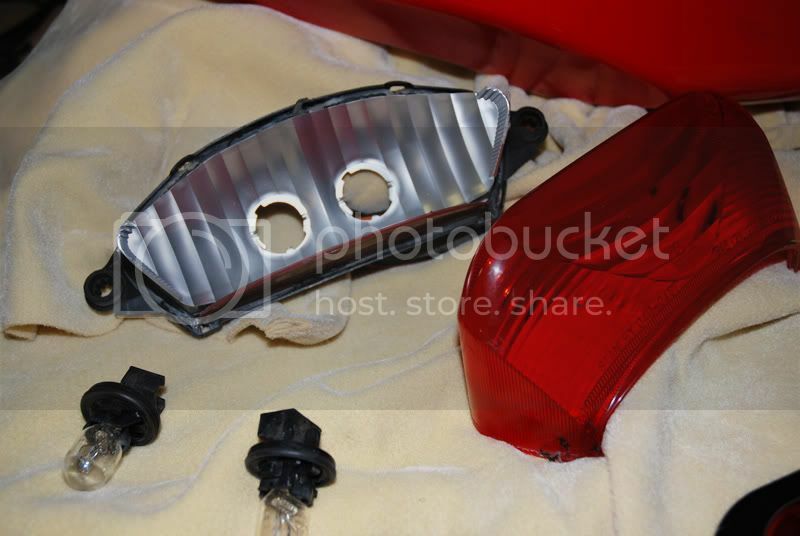 I will be mounting this unit from the outside of the stock SH tail light housing. I'll dremel out the profile of the red polycarbonate lens of the LED unit on the SH tail housing. 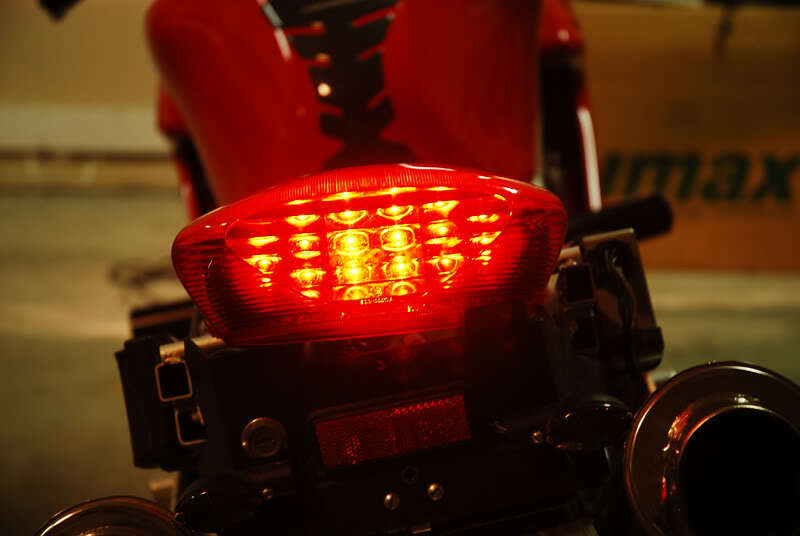 The LED unit comes with a flange with mounting holes and hardware so there is no issue with securing it to the back of the tail light housing. Should be a very easy yet clean/OEM retrofit. 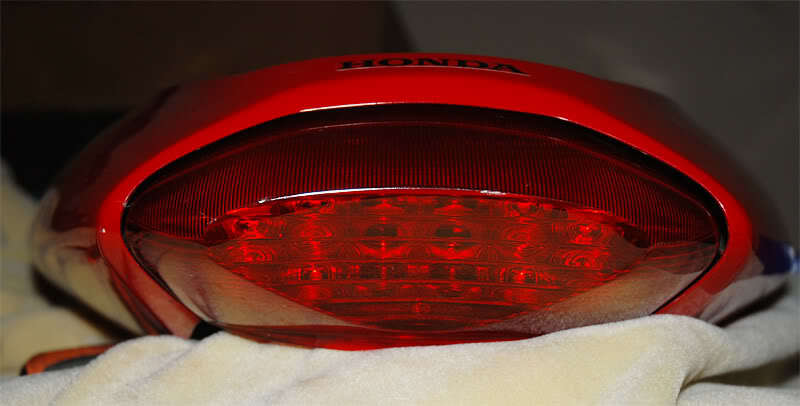 When the lights are off it will look just like any other SH stock tail light but when they are on you'll see the LED pots even dispite the stock SH lens being semi-fluted thru the center area. Here is a picture of the Optronics unit I bought. I'll post my own pics when I get home from bike night tonight as I start the process. You'll notice the 4 inner LEDs look slightly different but it's just the slight angle of the pcb board their mounted to to make them seem brighter from directly looking at them head-on. 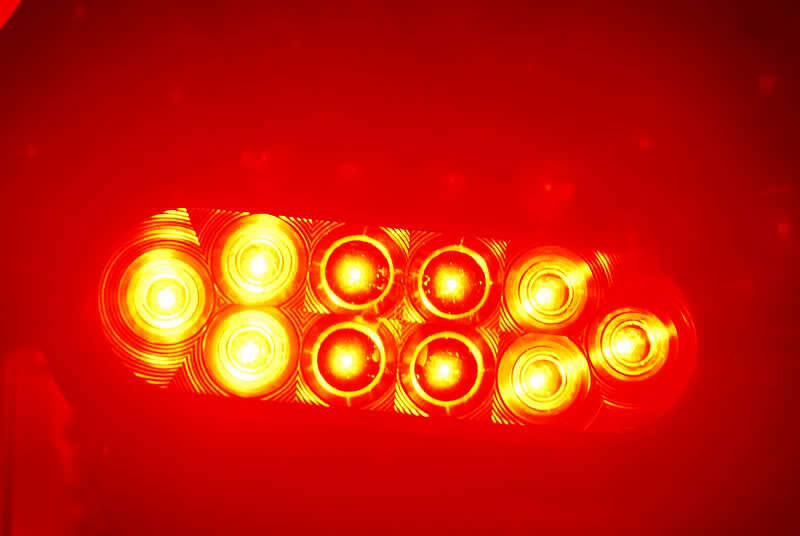 All 10 LEDs are lit on the tail light mode but the inner 4 are slightly brighter than the others. Once you hit the brakes all 10 light up VERY bright and intense. I'm going to reserve the next two posts as I'll use those to walk you guys on tackling this project on your own. the best part is this unit comes with a lifetime warranty, can be easily replaced, and costs only $25 at your local Advanced Auto store which carries these in stock. Here is a short video. 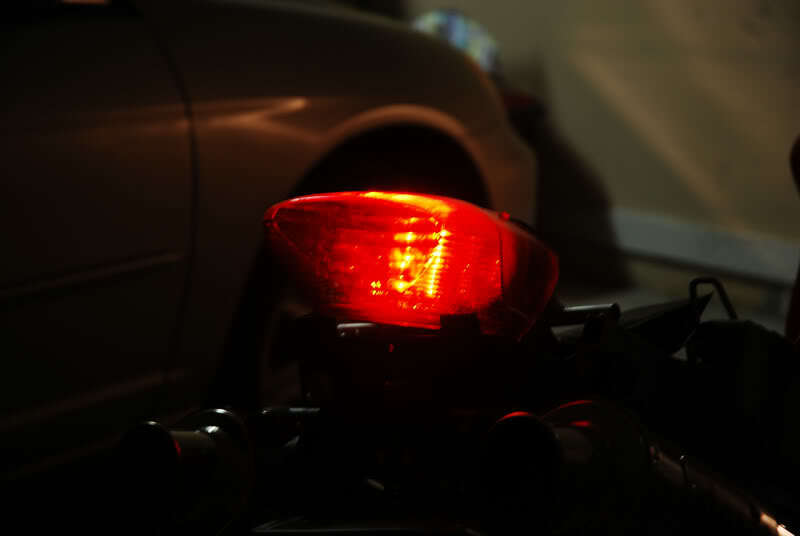 I temporarily wired it up just to give you guys an idea of the tail light compared to the stock tail light. You'll notice the stocker only has one bulb working but honestly it wouldn't matter if both were fired up. The LED unit blows the stock luminosity out of the water! Here are some pictures as well. I tried to get the exposure about as much as how it looked in reality. I also shot these in manual mode to keep the same settings for the comparison back to back shots. Last edited by haknslash; 06-25-2008 at 05:35 PM. Ok, now we're getting somewhere. Change of plans though. I was going to mount this unit from the outside of the rear tail housing but I have decided to do it like my CBR was and mount the unit from the inside where the bulbs usually go. Last edited by haknslash; 06-25-2008 at 06:25 PM. I'm staying tuned, sounds interesting and I'm looking forward to see how it looks. I may have to copy cat if it goes well. I'll be tuned in. $50 clear ebay units board is apparently fragile and of course you have to wait for shipping. I like all of my rear LEDs firing when I slow down or stop. If I can get a locally available unit to put inside the clear housing EVERYTIME I drop her or get hit that would be great. How many amps do the 2 OEM bulbs draw vs this led unit? 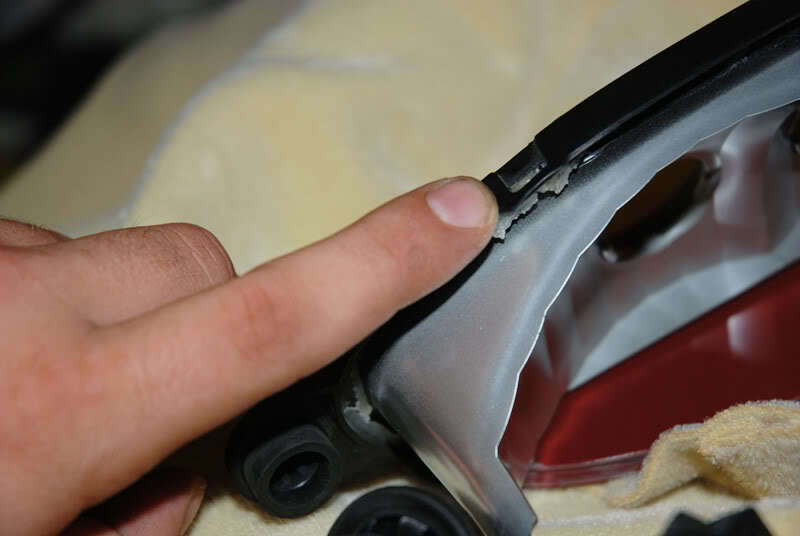 Can U clarify about the ribbed OE lense showing thru (though your how 2 pics may do so)? And can you run the leds only on tail/stop w/o the TS function, as otherwise you need a min of 9" to as much as 14" TS separation to be legal? I am staying tuned, sounds like a cool mod! Update: video and pics have been added to the second post. I do not have a multimeter handy. If you're worried about wether or not to run a relay, you could for sake of ease of mind. However I've done these on bikes before and have never encountered an issue. Not to say it couldn't cause an issue, but for anyone that feels worried, just wire up a relay. I'm opting to not run a relay as I haven't had to in the past. 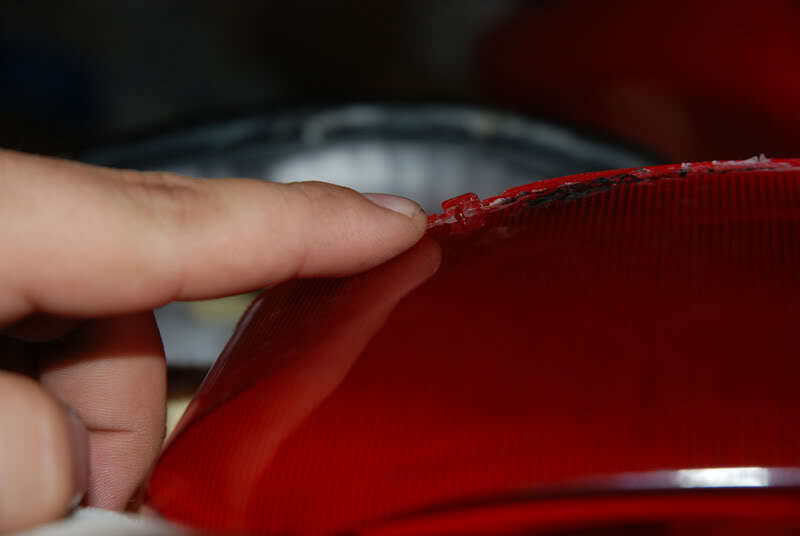 You can see in the pics above that you can see thru the 'ribbed' section of the tail light. 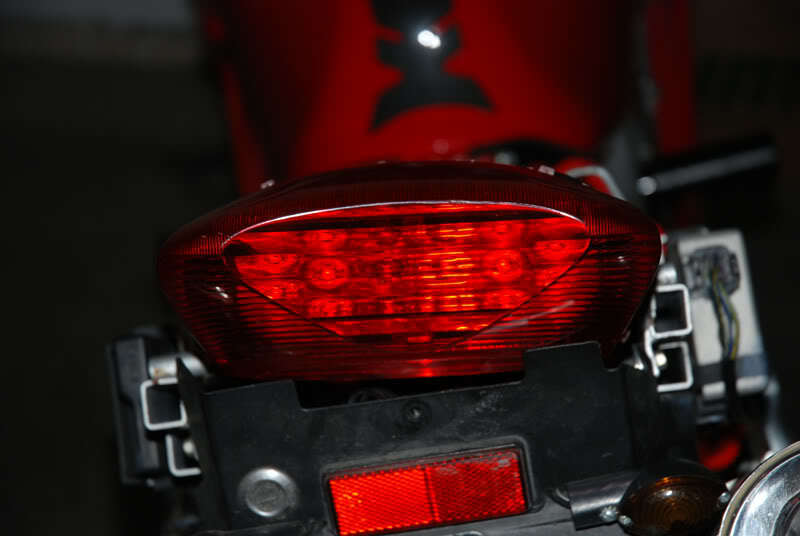 The stock bulbs are clearly visible in some sections as its clear there without distortion from the fluted 'bars'. The LEDs will have no problems blasting thru this. 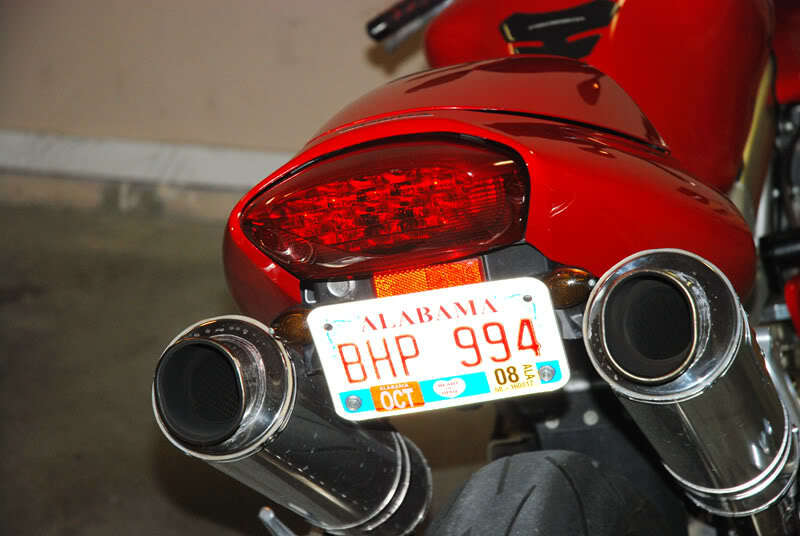 My CBR was much more fluted than the VTR tail and you could see the LEDs just fine. I will take a pic of this unit once its installed and that will give you a good idea. 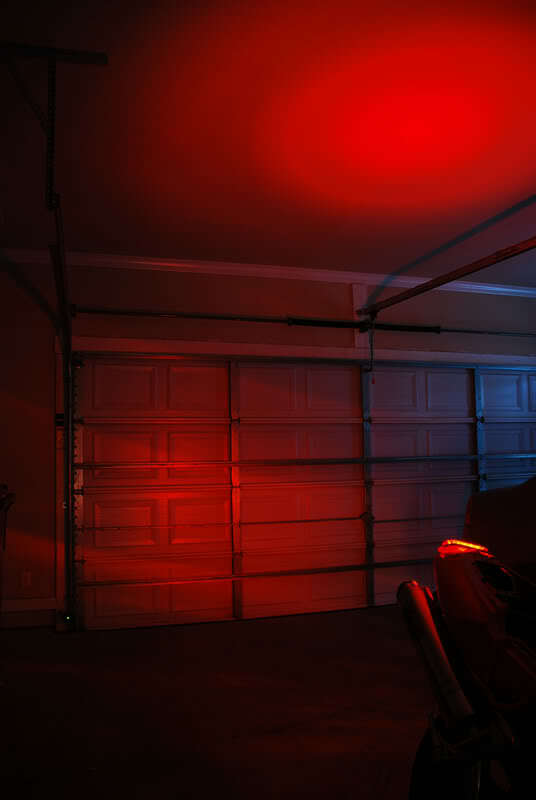 The LED unit is a 3-wire hook-up. 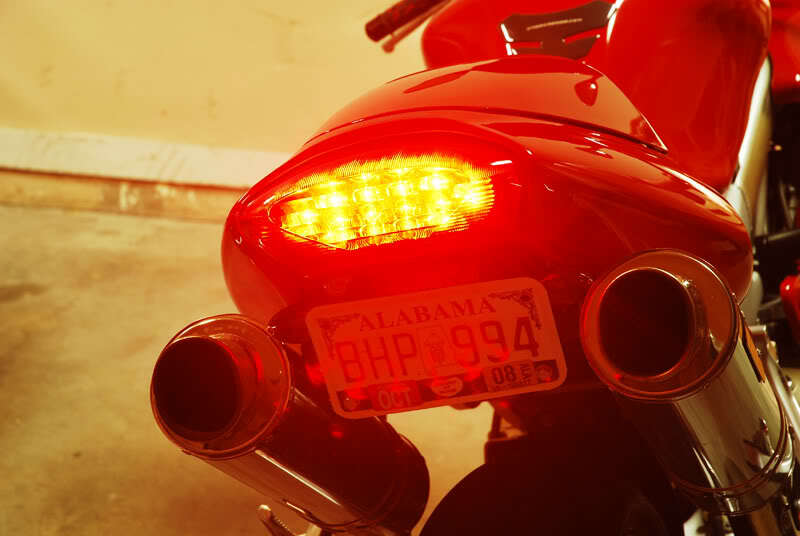 One for ground, one for tail light, and one for either stop or turn signal. You will use all three just as the stock bulbs are wired. 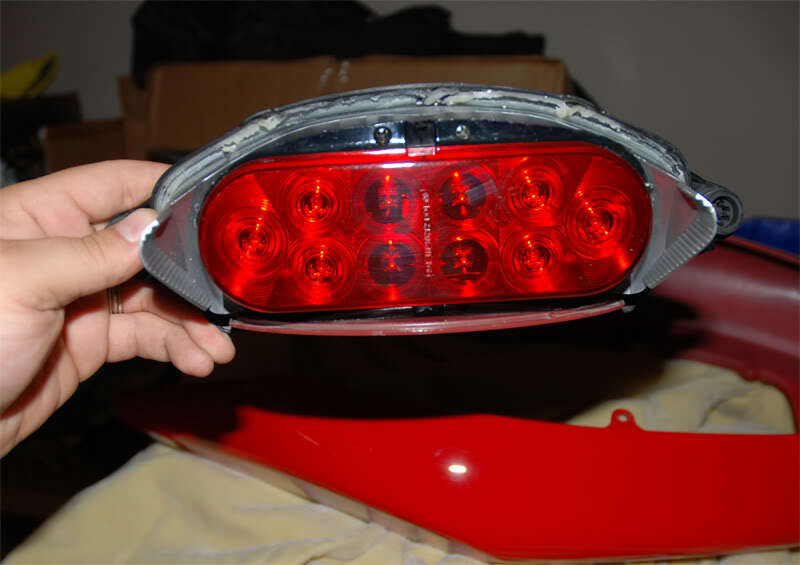 This will give you both running tai light and brake light. Check out the video above. 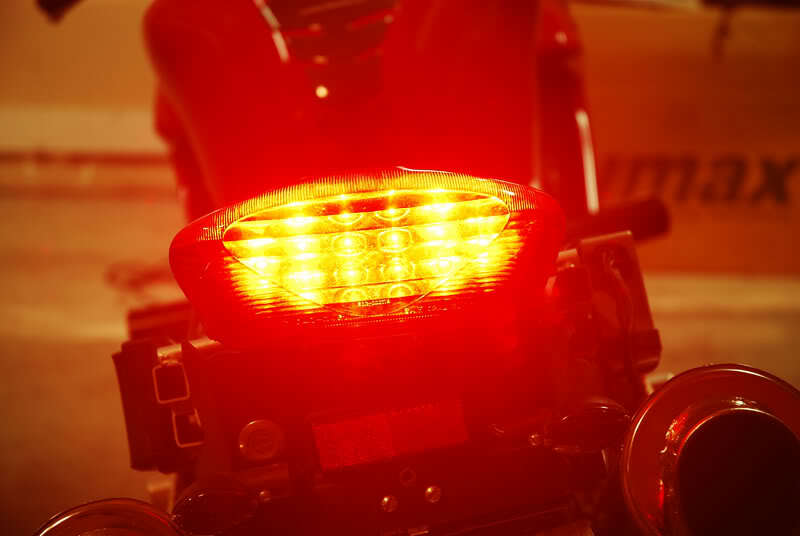 To complement the clean brake light you should tear that reflector off of the fender, shave the fender and remount the lisc. plate. I am really liking that. I bought the $50 Ebay version and I am not thrilled with it. I REALLY want to get peoples attention when I am slowing down! I actually have the fender trimmed and when the plate is flipped up, all you see is the license plate. I do need to remount it because the PO of the bike mounted it crooked . I may end up getting a undertail in the future though after I start getting the suspension done. Probably will do a similar install with a small LED bar to give it a tag light since there isn't one now at all. Glad you liked it! Yeah I wasn't too impressed with the bay unit. For one it only comes in clear and smoked. I've heard of red lenses ones from years ago but I haven't ran across one yet. I was also worried the LED quality of them might not hold up after a few years or wouldn't be bright enough. So retrofitting in a quality truck/trailer unit was the next best option for me for a clean look and being very functional. I made some good progress last night and could of finished it but my wife is sick so I had to stop every so often and tend to her. I will have it done tonight and will post a good amount of pics and some videos later on. 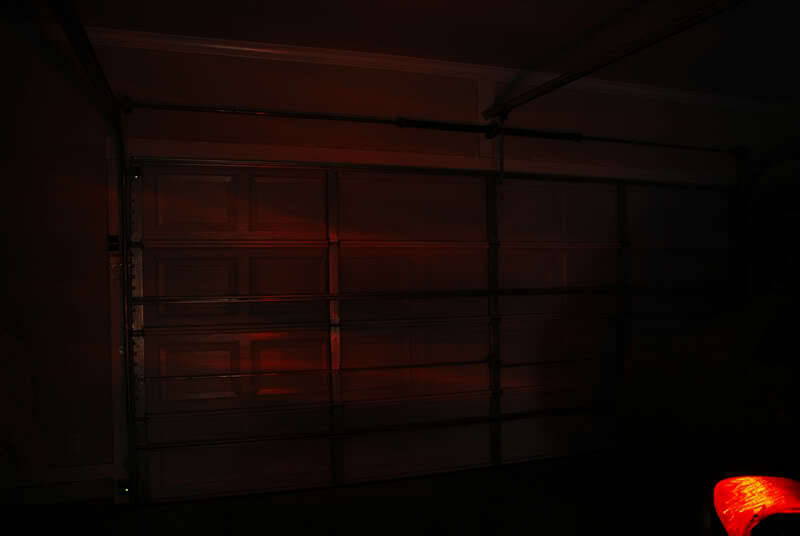 I was doing some testing for visibility last night and from even about 40 feet away they are VERY bright. They look great at night and you can see the luxeon LEDs very nicely. I trimmed a good amount off the flange mount on the LED unit. It's now contoured to the inner shape of the reflector portion on the stock tail housing. All is left is to secure it down and then reseal the housing with some rubber butyl so it will be water tight. I'll modify and reuse the stock tail light bulb holders so it will look clean and be sealed from the rear of the housing as well. Nice job Hak. I'm a fan of the Luxeons. 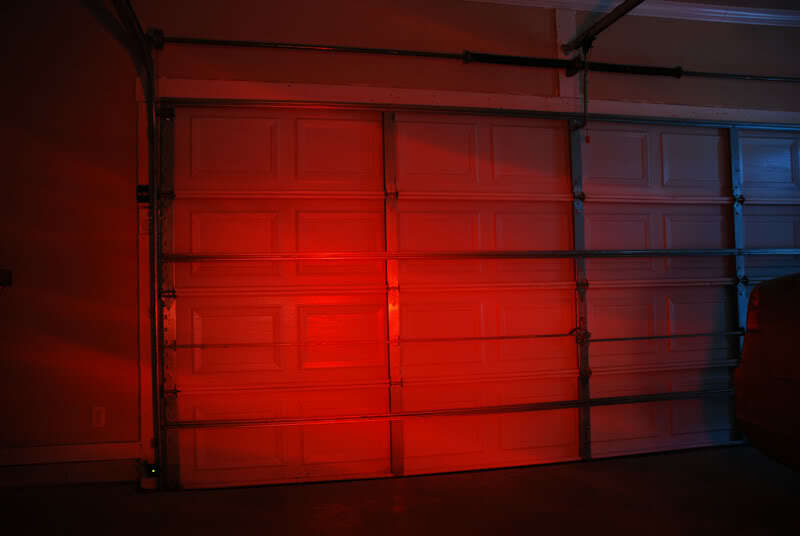 I did my brake light with two of 'em couple weekends ago. Looks good man! keep the pics coming! I trimmed a good amount off the flange mount on the LED unit. It's now contoured to the inner shape of the reflector portion on the stock tail housing. All is left is to secure it down and then reseal the housing with some rubber butyl so it will be water tight. I'll modify and reuse the stock tail light bulb holders so it will look clean and be sealed from the rear of the housing as well. 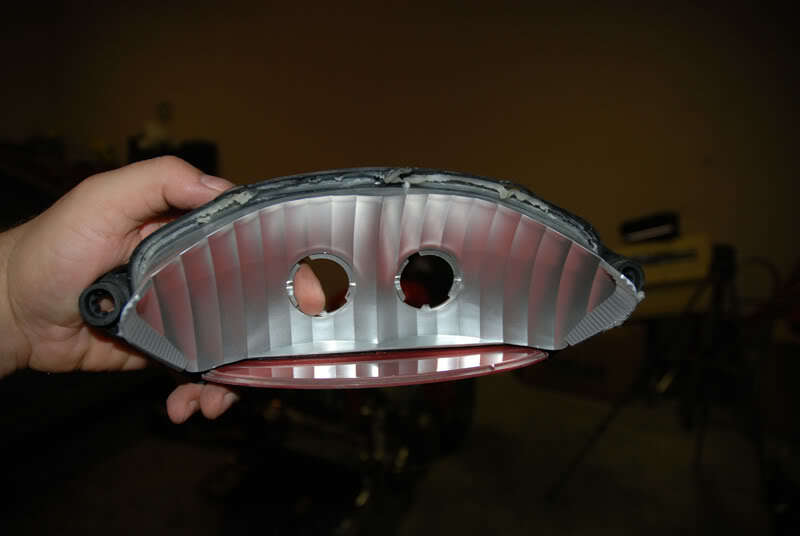 Please be sure to take some pics of the trimmed LED unit secured to the reflector (?) 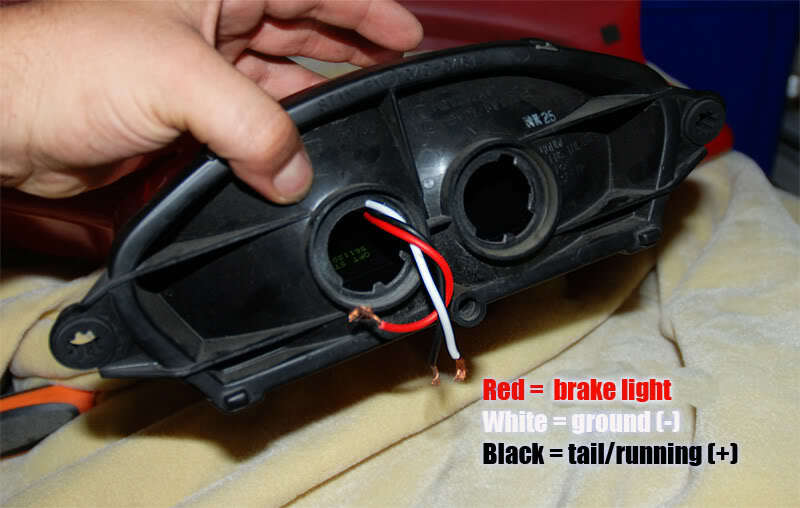 before you reinstall the OE lens, and include a wiring diagram with the wire colors. If you find a multimeter, see if you can do a comparo between OE & LED amperage. Looking good! Last edited by skokievtr; 06-26-2008 at 03:56 PM. Wow - nice job ! Thats super bright. Thanks for the write up . Here are a few more pics. More to come later tonight plus a video clip. Solder, use barrel connectors, whatever your preference to connect the two. I'm confused. Is that turn signal or brake light wiring. I only see three wires coming out of the housing (red being brake I'd assume), wouldn't you need a wire for each turn side? i think he means brake light not turn signal. 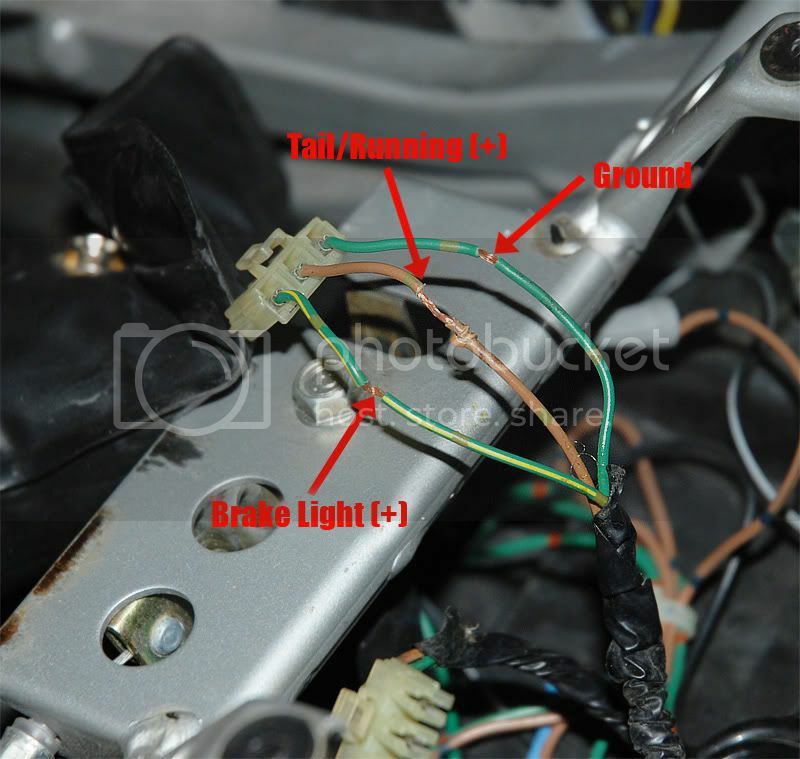 the brown wire and red wire on led unit should be for the brake light. 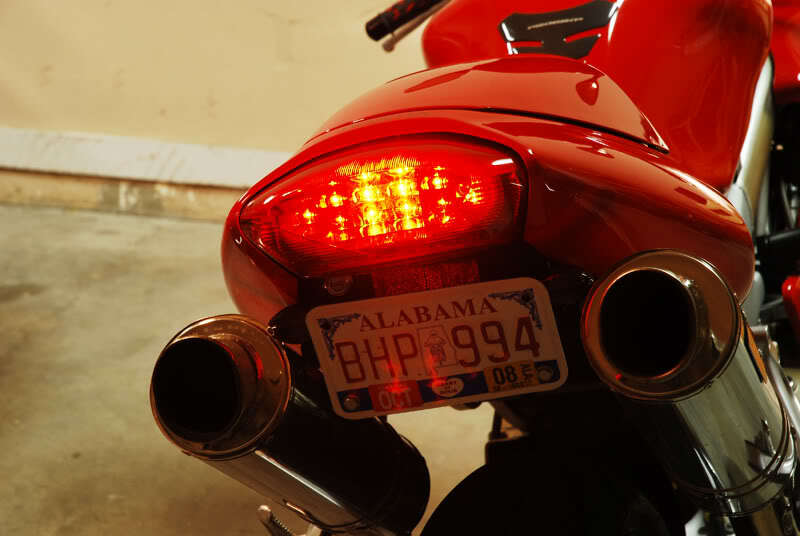 he's not wiring turn signals into it; just running/ brake lights. Whoops, my bad on the typo LOL. Yes it's the brake light. I'll fix the image. that outta get noticed, nice job! Nice job Haknlash. That light is realy visible. Did you get to amperage comparo? Also, how are you going to illuminated the license plate (you mentioned installing a small white LED)? Dunno if that's at full light(brake) or not but regardless it should be a lot less then the stock bulbs... I think those are 21W/5W ??? Nope, I forgot to bring the multimeter form work to my home yesterday. Thanks for finding the info Tweety! 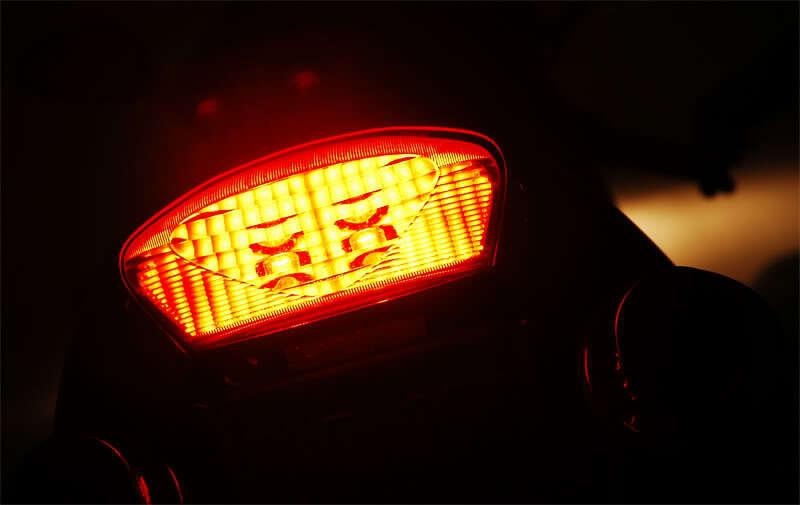 As for the tag light I'll probably buy one of those small white LED units you see at Cycle Gear made by Street FX. 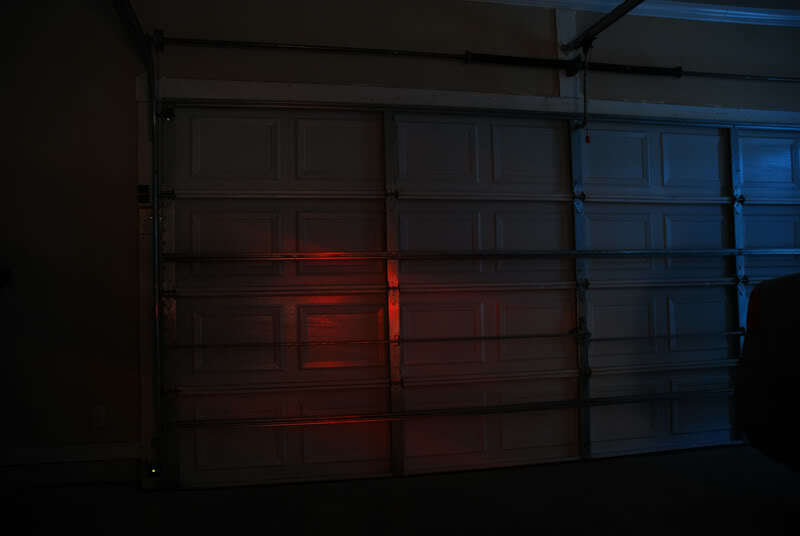 either the LED Flex strips that come with 24 ultra birght LEDs, BoltFX license plate lights, or maybe the ElectroPods unit. I'm not sure yet but there are many ways to get that tag lit up. Main thing is I don't want anything where you can physically see the LEDs but more so to mount them just so the light shines cleanly onto the plate. Last edited by haknslash; 06-27-2008 at 09:38 AM.